Working with only the finest creative talented vendors and manufactures in the industry, Ultimate Window Shade Company wants to bring you the best experience with the highest quality window shade products on the market.​​​ Over 24 years of expert service. Only Ultimate Window Shade Company offers a free 3 year service extended warranty. Light control in a room can be done in many ways. Consider how you live in a room, and how important privacy is to you. Factor in your personal taste from sleek and contemporary to rich and traditional. We have your style for every room, every taste and every desire. 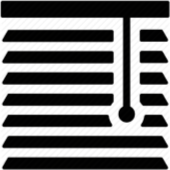 Pull wand control systems allow window shade operation on windows that are a little to high to reach for a cordless control, but still allows you to have a control system free of long cords. Wand attached to a retractable cord that does not show. 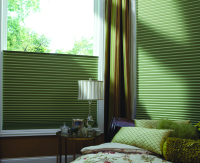 Blackout lining is a great option on shades that you may want to use in a bedroom or media room. Keeps the light from filtering through. Sleep in a little longer on those days the sun comes up early. Great for sleeping if you work second or third shift. Room darkening cell shades offer the same light blocking as blackout lining in other types of shades. Also used in bedrooms and media rooms where you want to keep the room very dark on a sunny day. The top-down / bottom-up option on a shade is a great way to enjoy privacy in a room but also let the light in. Great shade option if your at street level for privacy while still letting the light shine through. Edge banding on a shade gives you a little more design felexibility. You can use edge banding to enhance another fabric or piece of furniture in a room. Looks good matching accent pillows on chairs or sofas. 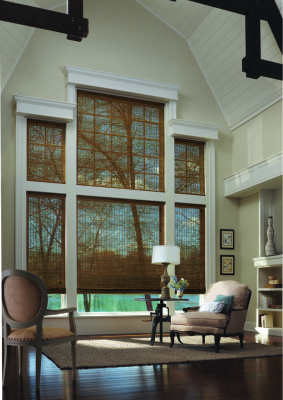 This type of shade gives you the option of a softer look in your windows with the function of a wood blind or shade. You can adjust the vanes for light control or roll completely out of the window into the top.